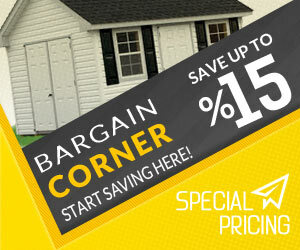 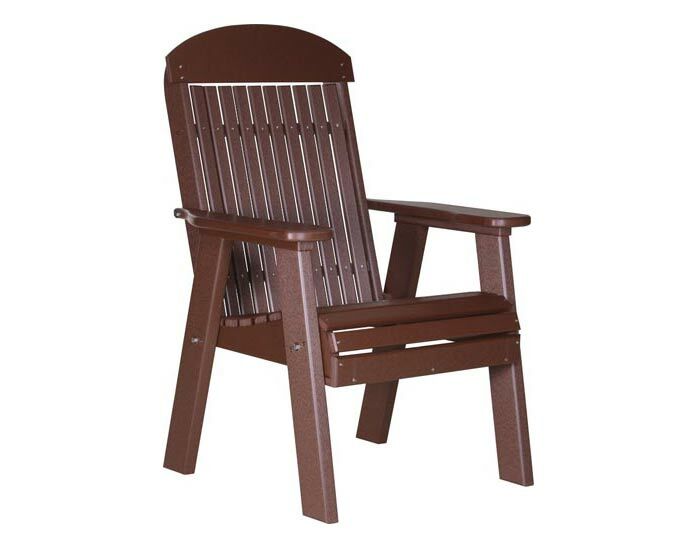 Buy Lawn Chairs & Porch Furniture That's Guaranteed For A Lifetime! 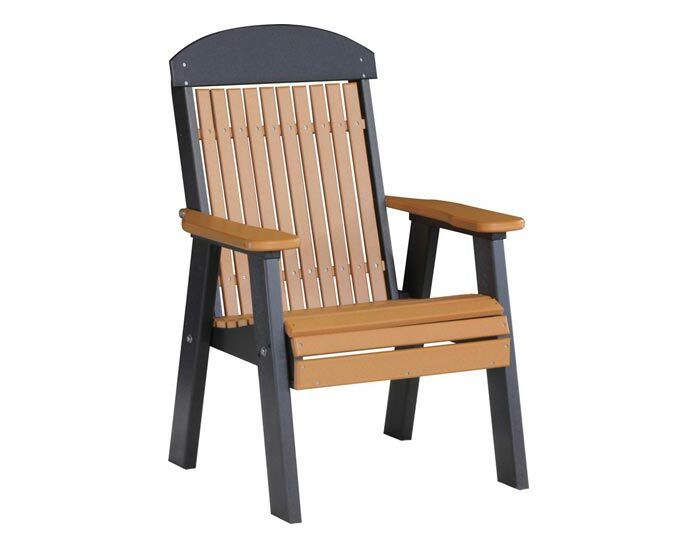 LuxCraft Poly Lawn Chairs are the perfect option for the environmentally conscious individual looking to add the finishing touches to their garden, patio or deck area. 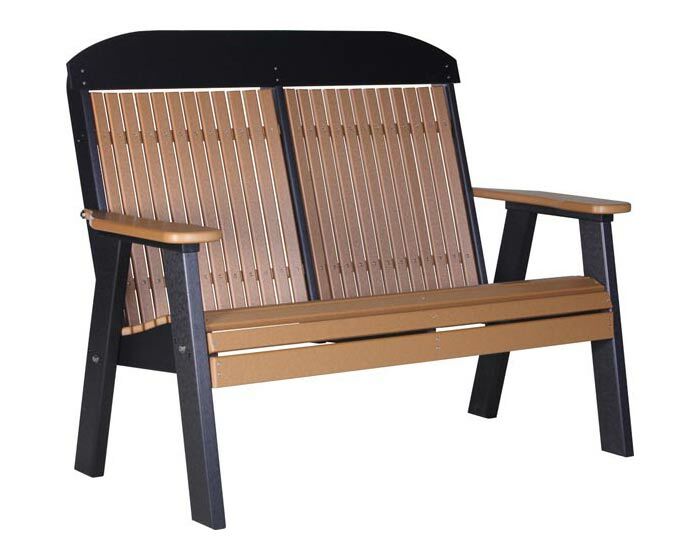 Poly deck furniture is made from a material which is derived from recyclable products such as milk containers and water bottles and the finished product is constructed from more than 90% recycled material and stainless steel hardware. 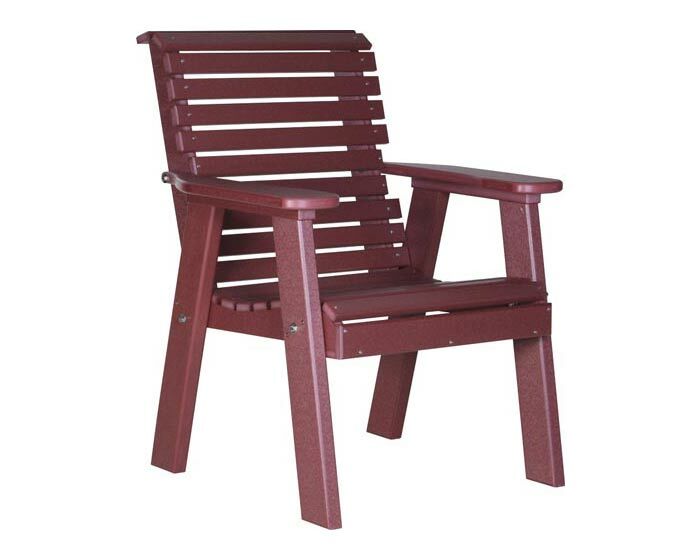 Our furniture doesn’t fade in the sun, the metal hardware (nuts, bolts, hinges and ball bearings) won’t rust, and the entire furniture line is extremely heavy duty and durable. 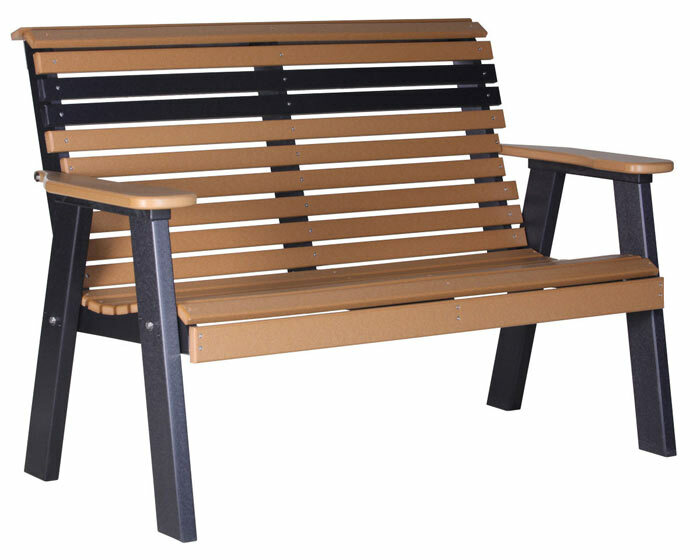 The standard poly benches come in 4' or 5' lengths, and many different color combinations. 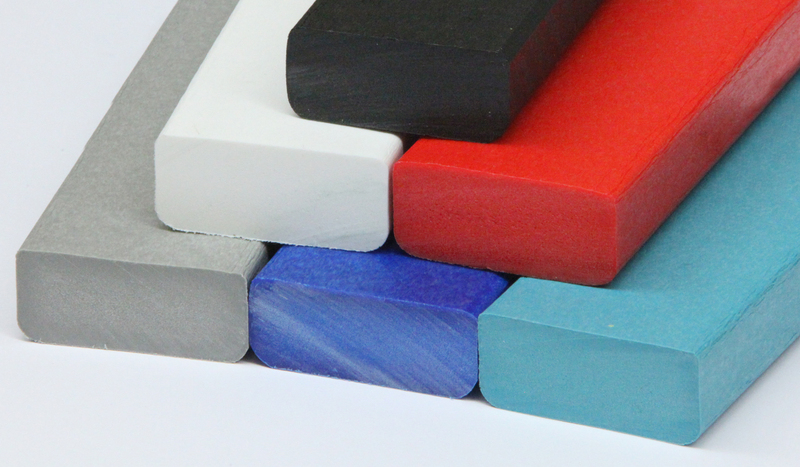 If you don't see the colors you want on our website, please give us a call to see if we can custom order the colors you'd like for your business, school, or community!